Adding a bold envelope liner to your invitation suite is a special way to showcase your style and personality. Some couples go with glitter and shine; others continue the design elements that they featured on their invitations, like watercolor florals or nautical graphics. No matter what style of envelope liner you choose for your invitations, your friends and family will truly be wowed when they open their exclusive invite to your big day! Check out some of our favorite unique and eye-catching envelope liners - and make sure to save to your dream wedding Pinterest board! A gorgeous blend of greenery with a pop of fresh orange hues rule this stunning envelope liner. A sophisticated statement liner that fits perfectly with a classic and navy wedding. A unique, artsy watercolor envelope liner featuring beautiful blue, red and yellow hues is inviting and exciting. This simple yet bold blue envelope liner is the perfect complement to a rustic, fall-inspired invitation suite. 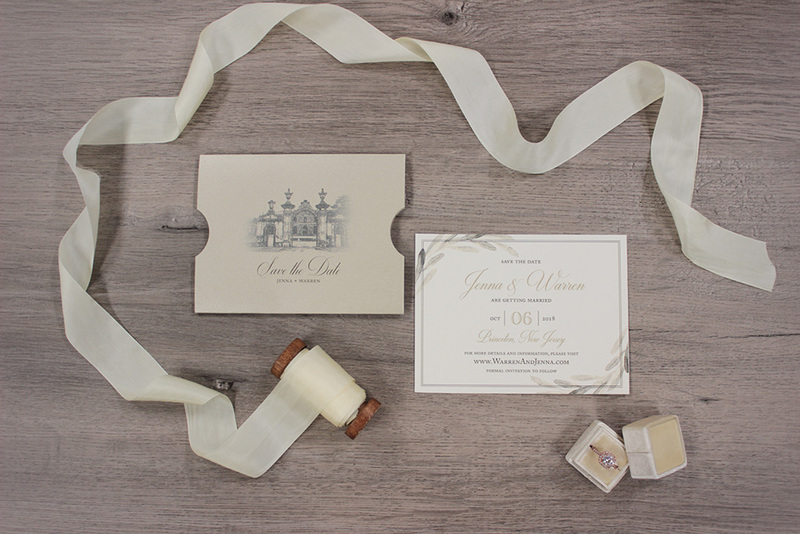 A gorgeous gold envelope liner adds some shimmer and shine to this elegant invitation suite. Big, beautiful watercolor floral designs are the perfect bold addition to these romantic invitations. An ivory watercolor floral envelope liner is a sweet surprise when you open these breathtaking laser-cut invitations. Love these bold and beautiful envelope liners? Connect with the Art Paper Scissors team and we'll bring your own wedding invitation vision to life!